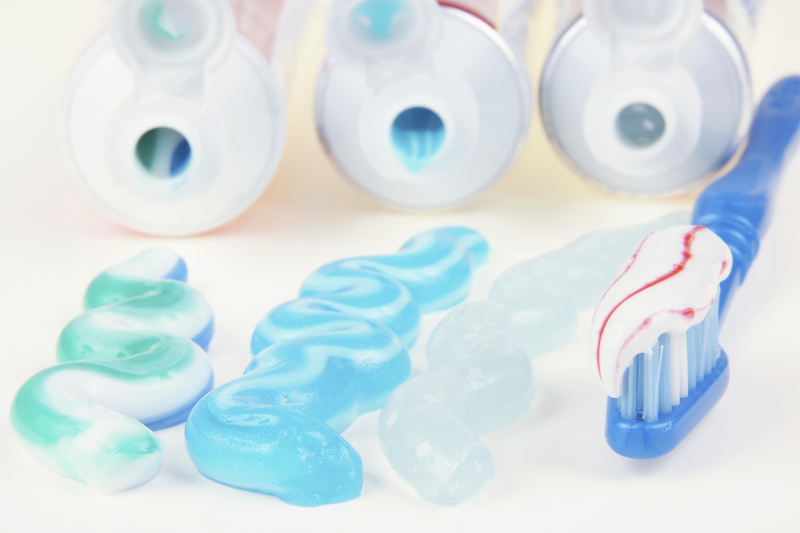 If you’re at all conscious of the brands and types of toothpaste you buy, you’ll have noticed there are some that cater specifically to sensitive teeth. Studies suggest that 45% of Australian households have at least one person with sensitive teeth. If you’re one of them, this post could help you understand the reasons better. And if you’re not, you’ll learn how to avoid tooth sensitivity. So what exactly is tooth sensitivity? It’s a fairly common condition which expresses itself as pain felt when eating or drinking something hot, cold, sweet or acidic. The reason for this pain is exposed dentin. Now at the risk of making this sound like a lecture, we’ll explain the very basics that you need to know to properly understand your sensitive teeth. Dentin is the inner substance of your teeth, covered by the hard external enamel layer. This inner substance contains tiny tunnels linking to the nerves inside your tooth. 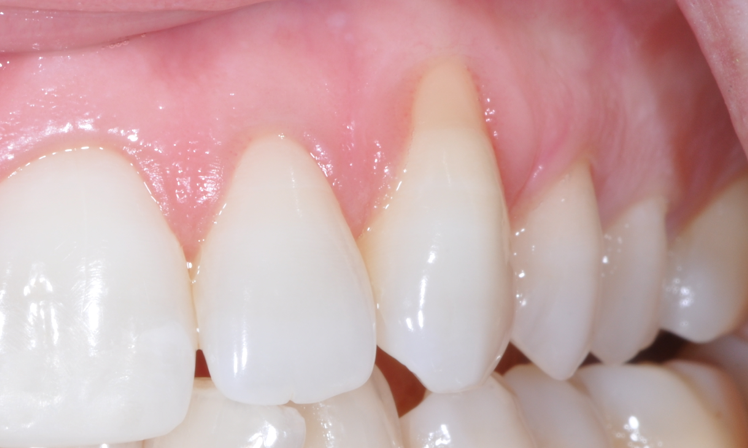 When the enamel wears down, dentin is exposed, particularly close to the gumline, meaning that these tiny tunnels are now also exposed to temperature and food which stimulates the nerves and causes the pain you feel. Here we explore 7 of the most common reasons for sensitive teeth. While brushing after meals is definitely a good thing, this needs to be done right. If you use too much force, or if your toothbrush has bristles that are too hard, the protective enamel layer on your teeth can actually be worn down. Aggressive brushing can also lead to gum recession. This eventually results in exposed dentin and greater exposure of your nerves to changes in temperature and pressure. 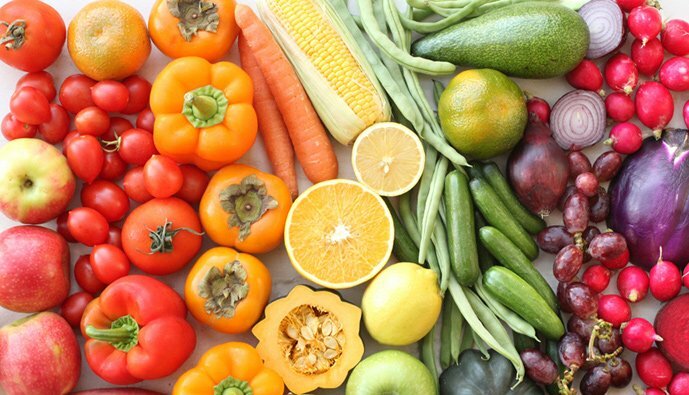 Foods and beverages with high acidic content include tomato products, citrus fruits, pickles, tea, sports drinks, and carbonated drinks just to name a few. These foods and beverages increase erosion of enamel and exposure of dentin, and contribute to greater tooth sensitivity. Carbonated drinks are unhealthy in general, and should be eliminated from your diet. However, by no means should you completely cut out citrus fruits and other healthy but acidic foods. In such cases, it’s helpful to counteract the acidic effects with cheese, bananas, milk and other foods low in acidic content. 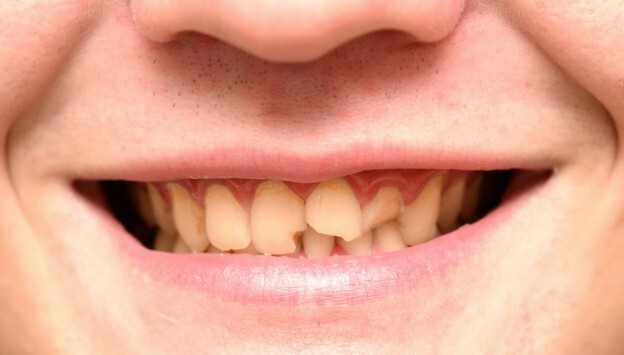 While it’s true that enamel is the hardest substance in the human body, it’s not indestructible, as anyone who’s had unfortunate incidents with broken teeth will tell you. Grinding and/or clenching your teeth may not show immediate effects but over time, these habits wear down the enamel on teeth, exposing the inner dentin and nerves, and resulting in sensitive teeth. These habits can be stopped with mouth guards and conscious lifestyle changes. Yes, toothpaste and mouthwash can in fact be harmful if overused. Many tooth whiteners, whitening toothpastes and some mouthwashes have peroxide-based bleaching solutions, acids, alcohol and other chemicals that remove stains. These stain-removing chemicals also remove the enamel on your teeth. Not only does this expose your dentin layer and nerves, it also exacerbates pre-existing tooth sensitivity by further damaging the dentin layer. When in doubt about the kind of toothpaste and mouthwash you should use, always check with your dentist! Gingivitis and periodontal disease, also known as gum inflammation and disease respectively, lead to the gum layer receding away from the teeth. Both of these mean increased exposure of the sensitive roots. These roots carry temperature and pressure changes to the nerve centre. It will come as no surprise then that people suffering from gum inflammation and disease thus face increased tooth sensitivity. Receding gums need professional dental care, so again, speak with your dentist and don’t skip your regular check-ups! Although it sounds unfair, teeth can often become slightly more sensitive after dental procedures such as root canals, extractions, replacement crowns, and restorations, to name a few. However, this pain will usually subside in about four to six weeks. If the sensitivity persists, it could be a sign of something more serious, and another dentist’s visit will help you identify the cause of the continued tooth sensitivity. Cracked or broken teeth mean that the nerve centre is more exposed, resulting in pain when you chew. These cracks, if left untreated, become filled with bacteria from plaque and cause inflammation in the nerve centre. Bacterial accumulation also leads to build up of acid and wearing down of the enamel layer. Cavities and decaying teeth expose the dentin layer as well as the roots of your teeth. 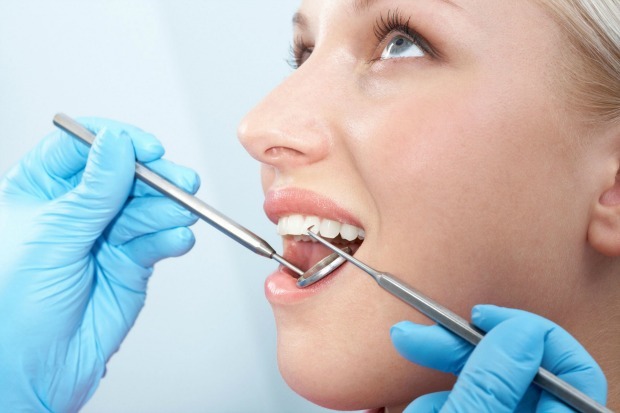 Overall, cavities, cracks and worn down fillings in teeth all contribute to sensitive teeth. If you have sensitive teeth and are wondering why, we hope this post has addressed some of the concerns. 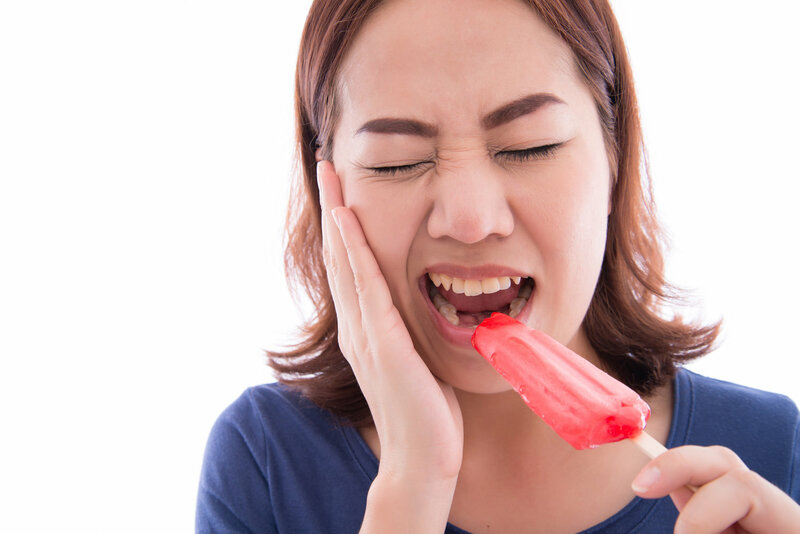 Tooth sensitivity can be treated in a range of different ways, depending on your particular situation. At the end of the day, there’s nobody better equipped to address your needs than your dentist. If you’d like to find out more about our treatments or speak to someone about any tooth sensitivity or pain you may have been experiencing, feel free to give Healthy Smiles Dental Group a call at 03 9877 2035, or drop us an email at info@healthysmiles.com.au for a free no-obligation consultation! « Fluoride – Good or Bad?